Mayor John Capoccia might have a small forest's worth of Yes On UUT lawn signs sitting on his porch right now, but it was not always that way. 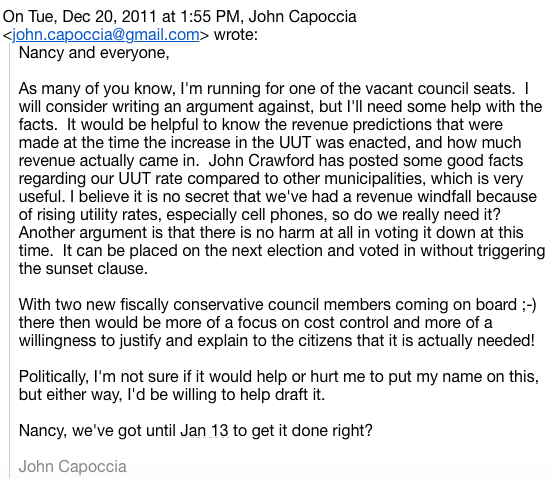 In 2012, when a not so very well known John Capoccia first ran for City Council, he was proudly against any extension of the then 10% utility tax. It was how he differentiated himself from most of the other candidates. He wanted us to believe that he was the real tax fighter, and why not? There was a decidedly anti-tax sentiment that year, and John Capoccia successfully rode that wave all the way to a seat on Sierra Madre's City Council. Once safely elected he proceeded to vote for every tax, rate and fee increase that came his way. Something that elevated Mr. Capoccia into that special Joe Mosca Class of Sierra Madre elected official. Those who promised one big thing when they ran for office, and did exactly the opposite once on the City Council. We'd say that makes him something of an equivocator, but since he is a politician that would be a redundancy. So here is a Monday morning kind of thought. 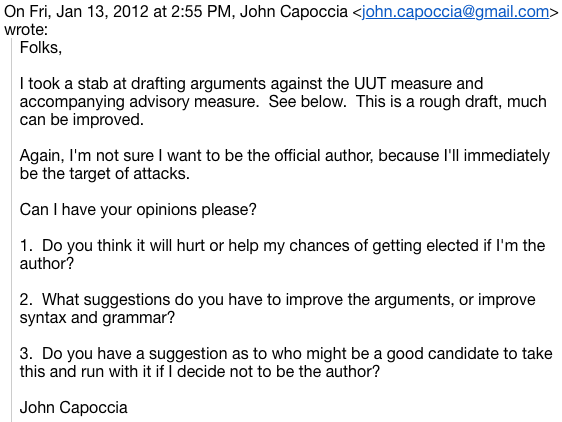 What if John Capoccia had not run as an Anti-UUT candidate in 2012? What if he had been honest about his true intentions and instead had advocated for the passing of that year's version of Measure UUT? Would it have gotten the votes it needed to pass? If John had been clear about his real plans rather than cynically using the anti-tax mood of that year to get elected, would the city be experiencing the kinds of problems it is today? Or at least the kinds of problems the 2016 version of John Capoccia says the city is having? 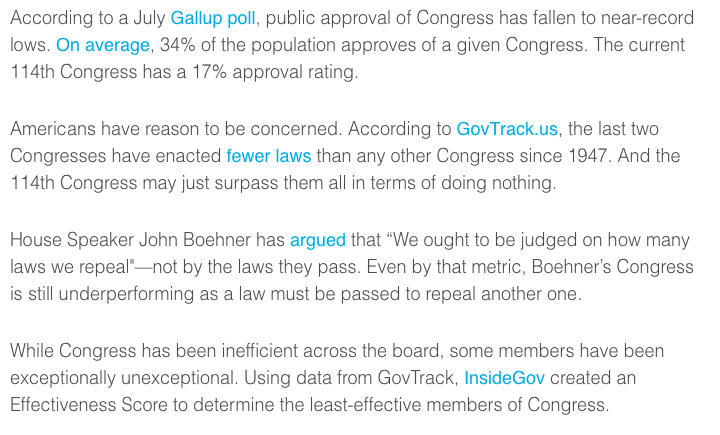 Using today's John Capoccia rationale for passing Measure UUT, is he the problem that we'd been warned about? Is he the responsible party for today's municipal monetary miasma? The real nut? Has John met the enemy and it is ... him? Using the investigative power of the Tattler Research Team, we have now been able to uncover actual 2011 e-mails from then candidate John Capoccia. Missives to supporters where he discussed his animosity to the UUT, and why. Needless to say the opinions expressed are very different from what Mayor Capoccia is telling us now. 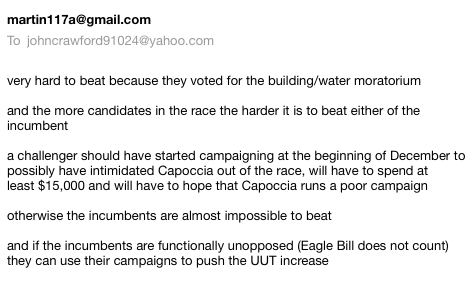 If Capoccia was willing to run for office as an anti-UUT candidate in 2012, what are we to think of his efforts this year when he is running as a community preservationist? 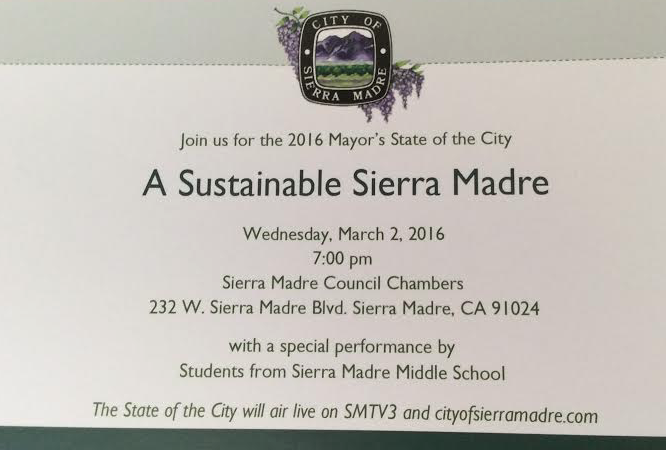 Is he taking a similar political advantage of the heartfelt need of many residents to preserve Sierra Madre in 2016? Just like he did with his anti-utility tax posturing in 2012? After all, John Capoccia flipped on an extremely important election issue four years ago. What is to prevent him from doing that again? Some people are happy about this and see it as the first in a series of steps that will save Sierra Madre lot of money while significantly improving public safety services in town. Others have taken it as a personal affront to their rather costly specialness, and are in a bit of a huff. Hopefully they can get past themselves and come to realize that the benefits far outweigh any of the erroneous drawbacks they like to cite. It must be noted here that the depletion of the Sierra Madre Police Department was caused by officers voluntarily resigning and leaving under their own volition. Nobody made them do it. This despite the special relationship some in town claim to have with the SMPD. Apparently that affair has been a one-sided one, and for many members of the police department the opportunity to make a little more dough elsewhere was enough to shatter those mythical bonds. At least for them. The falsehood that has been whispered into the ears of this city's more gullible residents is that the Sheriffs would - in an emergency - need to be contacted at their Temple City station, and only then would a car be sent to Sierra Madre. Meaning response times would be far longer than they are now. Which is a complete falsehood. The SMPD station will remain open all through the night, Sierra Madre dispatchers will be handling calls, and Sheriff patrols will be on the streets of this town all night long. As far as reprieves go, how about the financial one Sierra Madre would receive by contracting with the Sheriff's Department on a permanent basis? Wouldn't that free up a lot of money to do things like repair the Water Department's badly neglected infrastructure and keep the lights on at the Library? Just because a paper is adjudicated does not give its publisher a license to invent mistruths. The people of Sierra Madre deserve more than the cop union propaganda they received this week in the Mountain Views News. Sadly, done in exchange for the tax dollars that help keep Henderson-Poole-Carter's fish rapper afloat. This sounds kind of familiar, right? PUSD teachers are being paid lower wages than those in the neighboring districts, and therefore are now leaving for greener pastures. Thus placing the Pasadena Unified School District amongst the lowest rated in California. Or at least that is one convenient explanation for systemic failure. Which is pretty much the same message the City of Sierra Madre has been putting out about the Police Department and its similar desertion problems. Apparently the SMPD is losing officers to other departments because of the pay difference. Meaning, of course, you need to pay more in taxes. All because wages and benefits are being ratcheted up as local government labor amalgamates play one dumb agency off another. All of this is starting to sound alike. 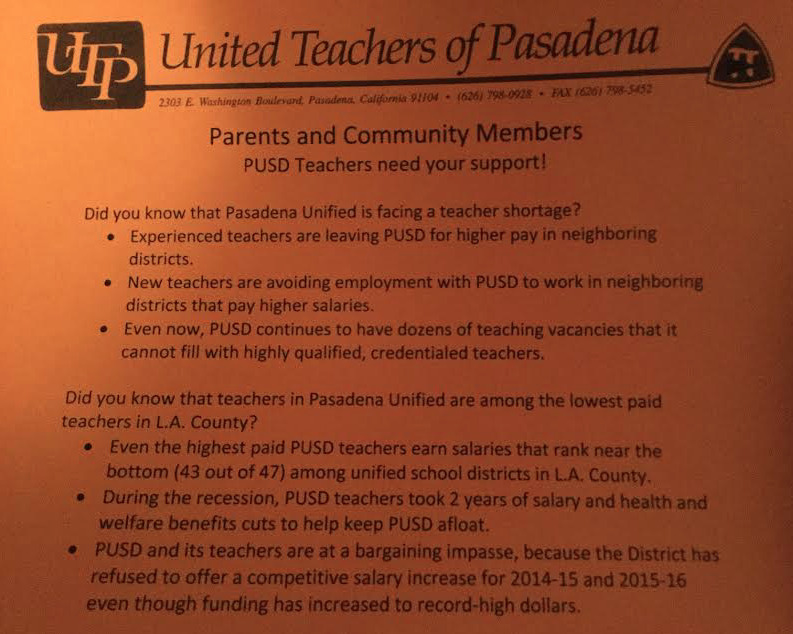 Transparent California has provided us with a list of what PUSD/UTP teachers are being paid. Somehow I don't get the feeling they are missing out on any trips to Trader Joes. Link here. The solution, of course, is to make everything "sustainable." Right? What I think this jargonista terminology means is keeping services at the level they have always been, and have been for your entire lifetime, but making you pay more for them. You know, so the local faithless employees won't leave. Six figure compensations and all. Nice to see Mayor Capoccia is willing to pitch in with the city's municipal employee unions to cozen even more cash out of your pocket. At least now we know who he is really working for. Too bad he wasn't forthcoming about that when he first ran for City Council in 2012. Interesting article making the Internet rounds lately. Apparently our very own Congresswoman Judy Chu is considered to be one of the most ineffective representatives in Washington DC. 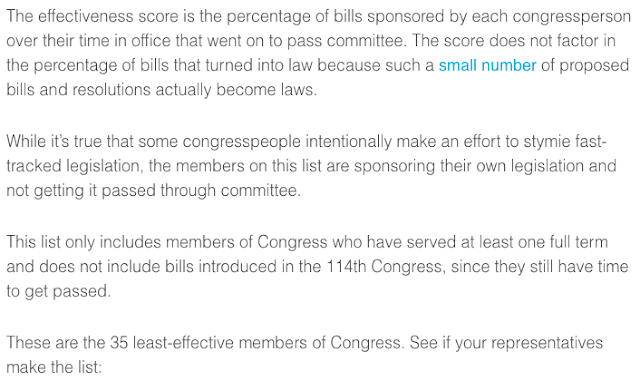 So where does Judy Chu place on this Congressional roster of shame and ineptitude? Way down at the very bottom of the fish barrel. 7th worst. Do we get stuck with the losers or what? 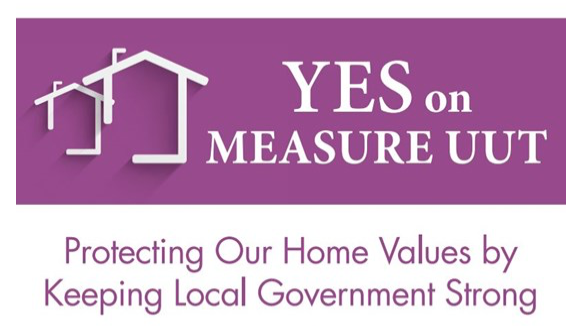 How Do You Know The "Yes On Measure UUT" Campaign Is Being Run By An Out Of Towner? Pasadena campaign manager Martin Truitt spelled "Wistaria"wrong. It is really just about as un-Sierra Madre as you can get. A kind of local litmus test. The previous campaign manager for a utility tax hike, Nancy Walsh, is looking smarter all the time. If you are impatiently awaiting a "No On Measure UUT" yard sign, The Tattler heartily recommends that you order one of these "Wisteria" colored signs from the fellow Martin Truitt from Pasadena has assigned the sign jockey job, cross out the word "YES," and then replace it with a robust "NO!" They might have a big bucks budget from as yet unknown origins, but that does not mean their money can't be put to a better use. Here is another question that needs answering. Who exactly is "Chairman Ed?" 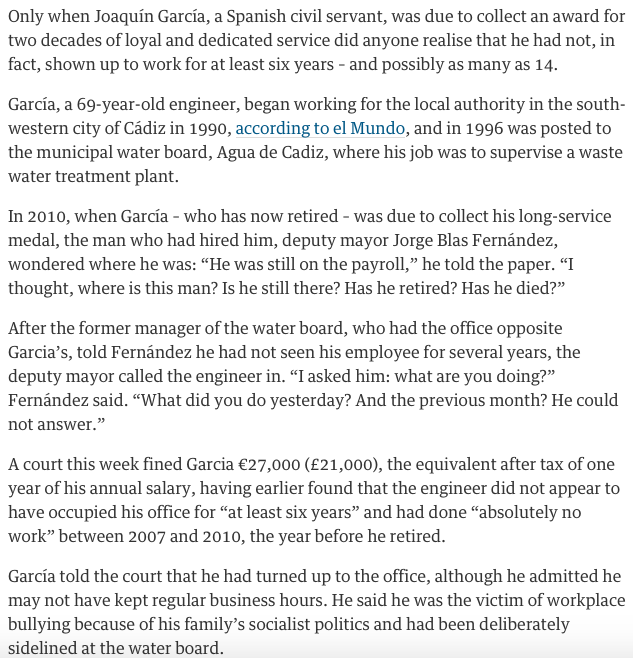 We now know that the gentleman's full name is Edward Garcia. And while he might live here (the jury is still out) he apparently does not own a home in town. Here is the "Realist Report" on the house The Edster is claiming as his address. Whoever does own this property got quite a deal. 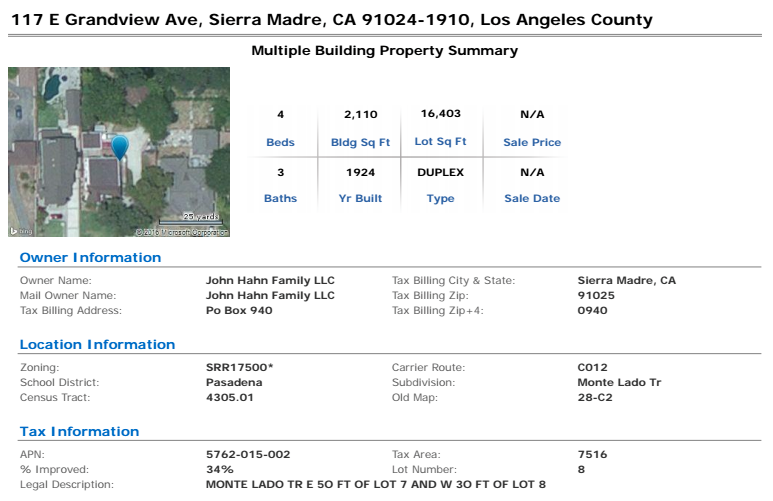 $75,000 for any kind of property in Sierra Madre really is a sweet price. So sweet you might find yourself wondering how it could have happened. 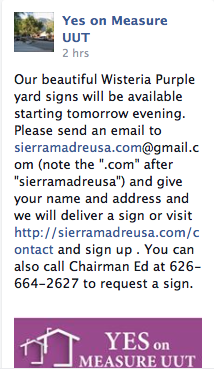 This Facebook style ad is now appearing on a lot of sites associated with the phrase "Sierra Madre." Kind of an inappropriate slogan if you think about it. The local government here hasn't been strong for years. From the badly neglected water company, to the mountains of bond ($21 million dollars!) and CalPERS debt ($9 million dollars! ), to a Police Department that's now lost fully half of its members, City Hall has been a basket case for quite some time. I am not exactly certain how this level of mismanagement is helping anybody's property values. The UUT had been at 10% for almost a decade, and that money was mostly funneled into city employee retirement and benefits accounts. It did nothing to strengthen this city or its government. And nothing this city has put out so far is indicating that should Measure UUT somehow pass, that unhappy condition will change. 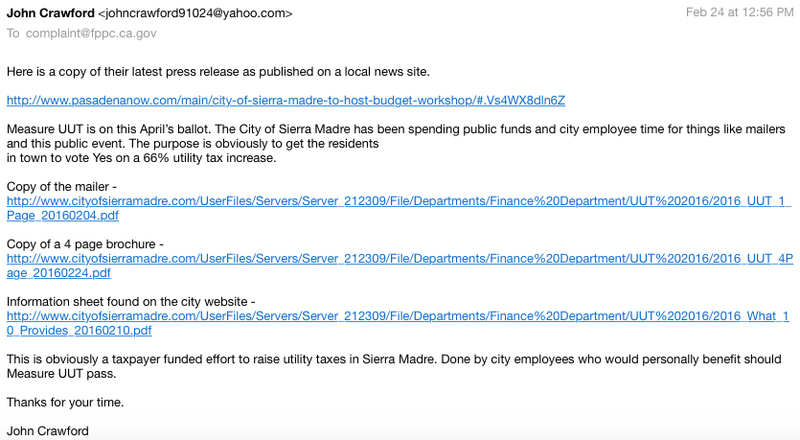 It seems more than obvious to me that the City of Sierra Madre's "local government" is illegally spending taxpayer money to campaign for Measure UUT. In some ways it is actually a much better organized advocate for this government sponsored ballot initiative than the Pasadena run "Yes on Measure UUT" effort. If you want to see all of this tax propaganda you are paying for, the link is here. I suggest you get there soon. Like that press release from January about the cops all leaving and Arcadia PD taking their place, things such as this do tend to vanish from that site. Additionally, The Tattler has filed a CA Public Records Act request for Mayor Capoccia's e-mails on UUT and Police matters. Since Yosemite Sam claims that his mail is running "20 to 1" in favor of whatever it is he wants, I figured we ought to take a look. Here is the e-mail response from Elaine Aguilar. Awesome. And yes, I do try and keep busy. 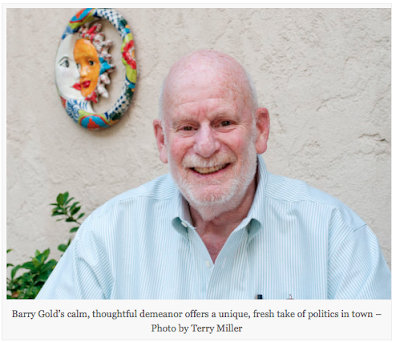 Mod: The Sierra Madre Weekly's very own Terry Miller scoops the world and gets that big interview with Barry Gold, Sierra Madre's first City Council write-in candidate in a quarter of a century. The pulp edition of Terry's paper hits the streets today, but you can see this article in all of its original Internet glory right now by clicking here. You are also invited to meet with Barry, his wonderful family and many of his supporters at the Gold's very cool digs this Sunday the 28th from 12 noon to 5 PM. A good place to discuss some of the big issues facing the city today, and volunteer to help in the cause. The address is 441 Ramona Avenue, between Lima and Park, two blocks north of Orange Grove. You're going to want to be there. 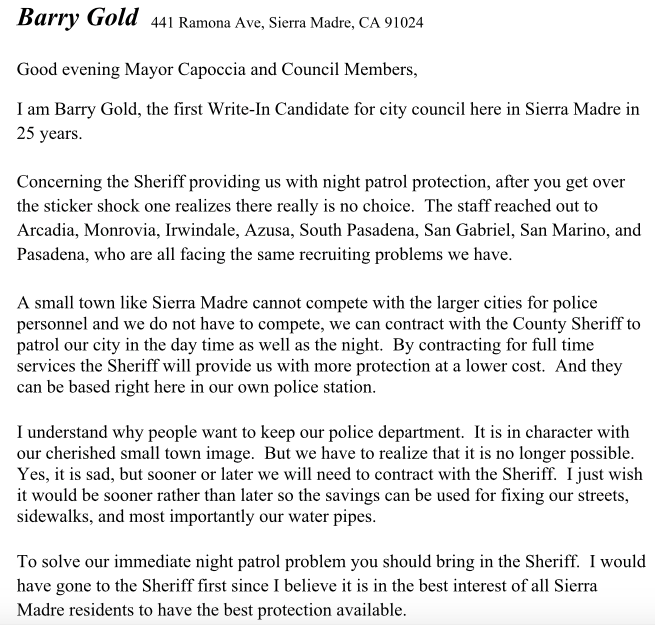 Write-In Candidate Barry Gold Offers Sierra Madre a Fresh Perspective: It looked as though the Sierra Madre Municipal election April 12 would be as dull as dishwater with no one contesting John Harabedian and John Capoccia’s seats. That is, until Barry Gold became a write-in candidate. We wanted to know more about the mild-mannered man, and why at 71 years Gold, who is in industrial property management, would want to dive head-first into the rough, somewhat murky waters of Sierra Madre's small-town politics. Apparently, this is the first time in 25 years that there has been a write-in candidate for a Sierra Madre municipal election. On Tuesday afternoon we sat down with the candidate to find out what makes him tick and why people should consider going for the Gold, if you’ll pardon the pun. Gold is an experienced manager of public funds who oversees a $4 million annual assessment as the Chairman of the Downtown Los Angeles Fashion District - so it seems, fiscally, he’s ready. Firstly we asked the obvious – why a write-in candidate? After qualifying with 30 signatures (although he only needed 20), Gold became a write-in candidate. Gold and Judy, his wife of 18 years, moved to Sierra Madre from Arcadia as they were appalled by the seemingly never-ending mansionization in that city. Sierra Madre is small and very much a preservationist town, which is exactly where the Golds’ philosophy takes the next logical step. Gold got involved with the Preserve Sierra Madre group, which has had a significant impact on the City Council, especially lately. 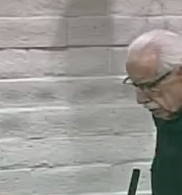 Gold said he simply couldn’t let Sierra Madre follow the same path Arcadia has taken so he got involved with the group to make the council and planners aware of the dangers of overdevelopment and to help the Sierra Madre down the roads less traveled. With the General Plan recently approved – after six years – Gold gives immense credit to the current council for implementing the plan and holding onto the belief that size does in fact matter – a lot. New building restrictions are in place but more needs to be done, Gold asserts. Gold says that the number one issue in Sierra Madre is, of course, finance. Gold is totally in favor of Los Angeles County Sheriff’s deputies patrolling the streets and says outsourcing to LASD will save the city well over $400,000 a year. A city the size of Sierra Madre cannot afford to waste more money and add to the ever-growing CalPERS pot-o-gold retirement plan, Gold says. Gold says city planners like John Hutt in Sierra Madre really know how to work with developers and help preserve the small-town charm which has attracted people to move into town, and want dearly to sustain that charm lost in so many California cities due to overdevelopment. Gold said, “We must force ourselves to live within our means.” So he’ll vote no on Measure UUT. He’s not against a UUT Tax; in fact, as a member of the UUT Revenue Committee, Gold proposed a 9% UUT rate with a six-year sunset back to 6%. The committee recommended 12% and the city council approved 10% with no sunset. On March 10, there will be a candidate forum at Sierra Madre Women’s Club in which Gold will participate. The forum starts at 5:30 p.m.
Resident Barry Gold, who has recently announced he is running as a write-in candidate for city council, said he is in favor of temporary nighttime patrols, though he believes the city should also consider contracting with the Sheriff’s full time. No Leadership - An Air Brushed City Council Meeting? An important obligation of community leadership, particularly elected leadership, is to explain to the people the meaning of things. Yet last night two rather momentous and controversial events happened, and nobody at the dais had much to say. Actually the City Council basically said nothing. Each just sat there and blinked their eyes. They did compliment whomever it was that delivered the information to them however, and then moved on like absolutely nothing had happened. This despite the historic magnitude of what was going down. Here are those two rather momentous events, psychological disconnect and all. 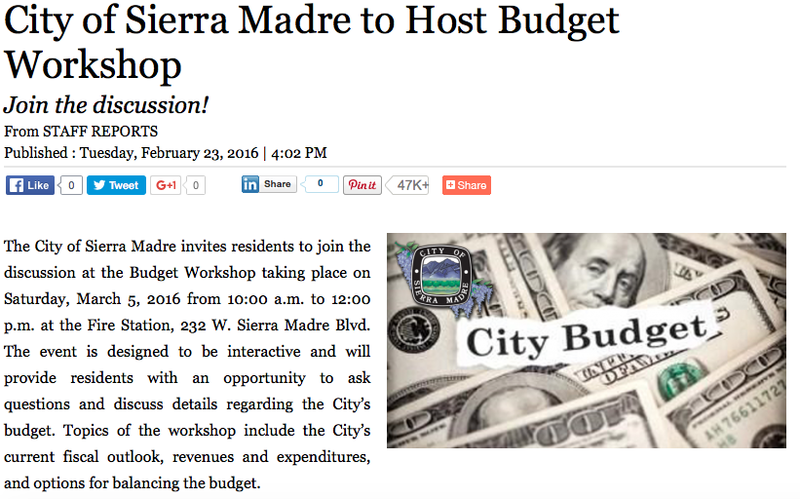 1) It was revealed in an actual city report that Sierra Madre's total CalPERS debt exposure is $9 million dollars. This in a city of 11,000 people. According to last year's UUT skeptic version of Martin Truitt, that comes out to $814 of city employee pension liability per living Sierra Madre resident. Small children and babies included. The City Council offered no enlightening commentary on the significance of this huge amount of previously unrevealed debt. Nor did they intimate how much of the utility tax hikes being asked for would be spent to meet so onerous a debt load. They did compliment the person who delivered the report, however. They thought it was nice. 2) Sierra Madre has just hired a second police force. The city now has a daytime police force and a nighttime police force. The SMPD and the LASD. And so novel a combination comes with two entirely separate pay obligations. The nighttime police is the Los Angeles Sheriff's Department, and comes at an additional cost of $400,000 for a few months, then the price goes up. How long they need to be here depends on how soon the badly depleted SMPD can hire new people. Chief Giannone is working on it. It could be by the end of June, or it might be much longer, with the eventual total cost going well beyond a million dollars. Approximately 150 individuals straight off the streets are now being interviewed, and once hired will then go to a police academy somewhere on the city's dime. Done because no actual trained professional officers will take a job here. This scheme is also dependent on what remains of the SMPD staying put. No guarantees were offered. The City Council asked very few questions, and offered no insight on the significance of any of this. Nor did they even take the time to answer questions from the residents who came to speak at the podium. Despite assurances from Mayor Capoccia that they would. Why is this? Did the City Attorney forbid them to speak on these matters? Was it part of the time-honored tradition there to never admit that City Hall just might be at fault for its own failures? Did they believe that if they didn't talk about it, none of this actually exists? I don't the know answers to any of that. This entire air brushed and largely content-free meeting was swept under the rug and over in less than two hours. Just in case anyone has forgotten what real leadership looks like. The following City Hall prepared publicity material is now up on the Pasadena Now website (link). Of course, were you to attend this city sponsored pep rally for increased utility taxes and ask questions like, "What is the significance of Sierra Madre's $9 million dollars in CalPERS pension debt?" you will likely be ignored. It isn't a dumb bunny issue, and therefore not what they want you asking about right now. Obviously nobody at City Hall wants to tell you anything about this stuff. Neither last night or at the upcoming affair being described above. They prefer instead to rely on staged and carefully controlled events like what is being cooked up at the Fire Station. Brown vs. CalPERS: The ugly status quo wins - The California Public Employees’ Retirement System, the nation’s largest public pension agency, is desperately in need of a shake-up. That’s not just because of revelations about kickback schemes and other scandals. In a word, CalPERS is obstinate. One historic example: In 1999, the agency persuaded the Legislature to approve a retroactive 50 percent pension boost for state workers with the argument that it would have little or no long-term cost to taxpayers because the stock market boom of the late 1990s would never end. This led many local governments to adopt similar retroactive pension increases. When this yielded fiscal nightmares, CalPERS launched a public-relations campaign that dramatically downplayed the problem. More recently, the CalPERS board has blocked modest pension reforms sought by Gov. Jerry Brown. This and other decisions prompted the governor’s two appointees on the 13-member board to press for term limits for leadership positions. But at a meeting last week, board President Rob Feckner broke a 6-6 tie and became the deciding vote against imposing term limits. Feckner is serving his 12th one-year term as president, according to calpensions.com. Why might Brown want Feckner out of the job? The governor has said the CalPERS board needs more independent voices. Feckner was president of the California School Employees Association for four years and executive vice president of the California Labor Federation for five. Such a conflict of interest wouldn’t be tolerated with the president of other boards of directors. But with CalPERS, it’s par for the course — for worse and worse. Before he somehow decided to run the disingenuous campaign to hike utility taxes in Sierra Madre by 66%, campaign consultant and Pasadena resident Martin Truitt had quite a different viewpoint on things here in Sierra Madre. 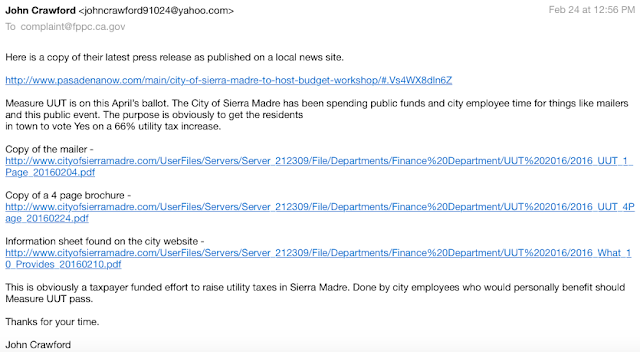 He exchanged a series of emails with The Tattler, and at that time was quite clear that the source of this city's approaching financial debacle is Sierra Madre's $9 million dollars in unfunded pension debt. With or without the cash bounty of Measure UUT. 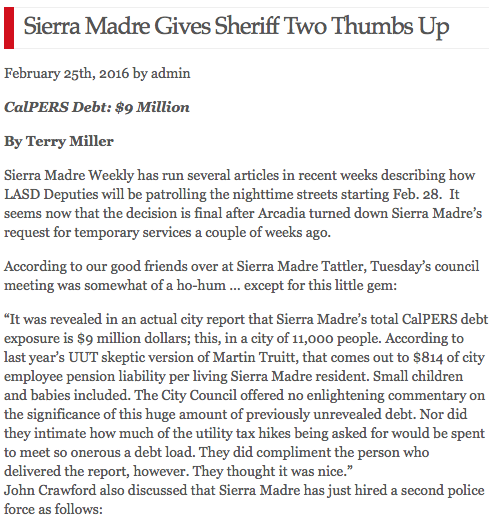 Martin also supplied the research I used to write an article about Sierra Madre's CalPERS pension debt. Ironic when you consider that he has now been running around town singing a completely different tune into the pickled pink ears of Measure UUT supporters here. But then again, politics does make for strange bedfellows, and the sight of Mr. Truitt sidling up to some of Sierra Madre's most gullible and misinformed residents and telling them that Measure UUT is necessary to help rescue Sierra Madre's Water Department, the Library, or its feckless deserting Police Department, is amusing. 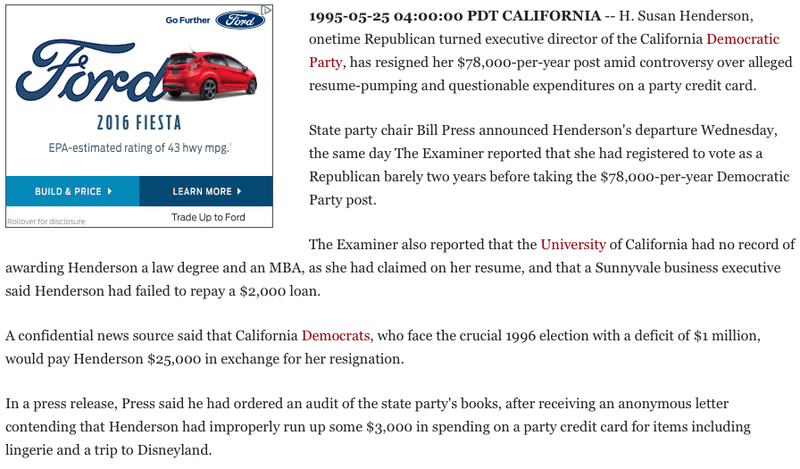 You have to wonder if perhaps he has been politically channelling the equally pliable H. Susan Henderson (link). With a generous side helping of Elaine Aguilar, of course. Here are two emails Martin Truitt sent my way that should give you the full flavor and depth of the man's cynicism. This first one deals with what he then saw as some of the consequences of Measure UUT going down, and was sent to me last December 22nd. There you go. 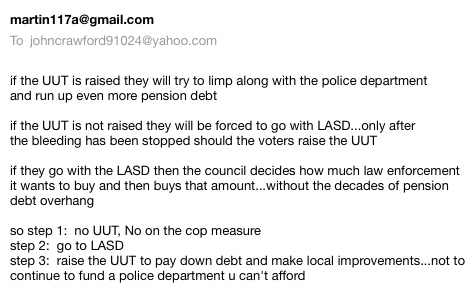 Shut down utility tax increases, dump the SMPD, bring on the Sheriffs and stop the ever increasing cop pension debt that is strangling Sierra Madre to death, and only then raise taxes. But just for the express purpose of actually fixing infrastructure. Something that previous tax increases were not used to accomplish. It would be the same with Measure UUT. Makes a lot sense to me, though again I doubt this is the kind of information Martin is currently sharing with Mayor Capoccia, Chief Giannone, the Womans Club or, for that matter, the rather colorful Dr. Emerson. Here is Martin Truitt's December assessment of the upcoming City Council election in Sierra Madre. 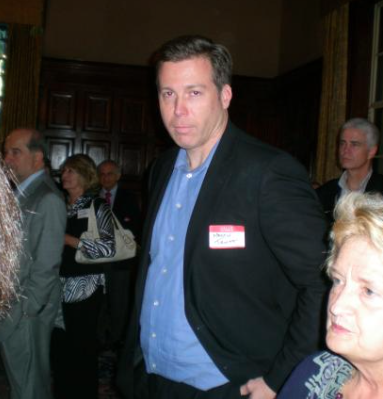 Perhaps Mayor Capoccia and Councilmember Johnny Process are using some of their richly endowed campaign war chests to pay for the political expertise of the celebrated Pasadena campaign manager Martin Truitt? I have heard that he does not come cheap. Loose lips and all. On December 12 of last year I posted an article here called "CalPERS/GASB Debt Numbers and Facts: Sierra Madre, Arcadia and Pasadena" (link). The research for this article was provided to me by Martin Truitt, and the information he provided was both shocking and discouraging. It is also quite different from what he its now saying as the political consultant to the Yes On Measure UUT campaign. Here is some of the product of our collaboration. We've been writing on and off this week about the big news that cities such as Sierra Madre, Arcadia and Pasadena will soon have to put their unfunded pension obligations and debt data on all of their official yearly accounting paperwork. Some real and very significant transparency for a change, and on an extremely controversial and costly topic. Cities will no longer be able to hide their financial mischief and unfunded pension obligations in the basement anymore. Those days are now forever gone. To put it in other more official sounding terms, under Governmental Accounting Standards Board No. 68 (GASB), government agencies will soon be required to record a “net pension liability” on all of their balance sheets. Right out there in the open where everybody who cares to can check it out. These amounts must be disclosed on financial statements issued on or after June 30, 2015. Many local governments have a June 30 year end. Those financials are typically issued in December or January. So by next month the rapidly approaching insolvencies caused by the stupidity of politicians and the greed of public employees will be there for all to see. 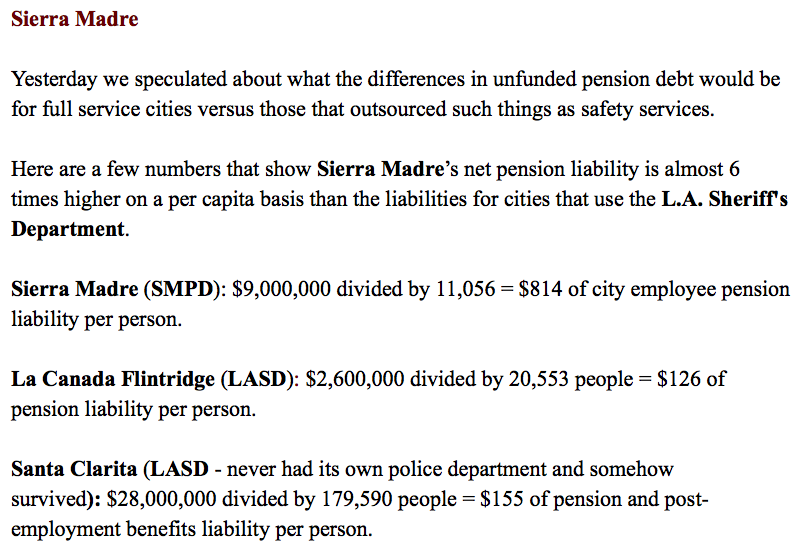 The good news here is that for the first time ever Sierra Madre's vast "net pension liability" has actually been included in a city financial report. Per California's new laws on this stuff. We will be reporting on that soon. 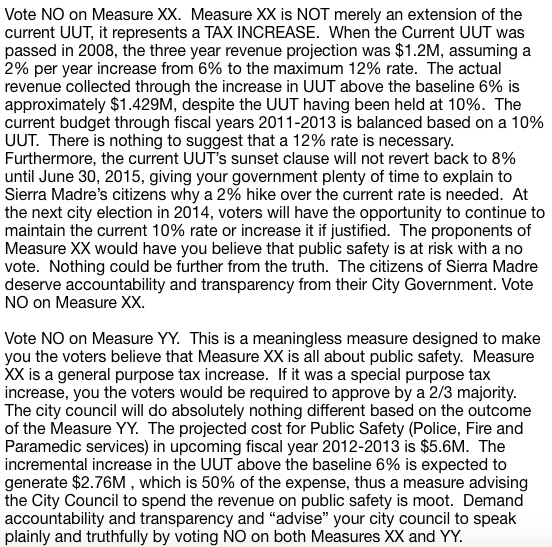 But just in case you can't wait, here are some figures that were first provided to me by "Yes On Measure UUT" campaign manager Martin Truitt. Back when he was thinking differently. Sierra Madre, in case you are concerned, is rapidly approaching technical insolvency. And the main driver of this financial clown car to hell is CalPERS pension debt. $9 million dollars of it. And while it is to the credit of Martin Truitt that he helped reveal this information here on The Tattler, it isn't what he is saying now in his role as the political muscle behind Measure UUT. Not that anyone should ever be surprised. Apparently the City Council will happily authorize the spending of $400,000 in reserve cash to fund overnight LASD patrols of the streets of Sierra Madre. Necessary because half of the SMPD deserted the people of Sierra Madre. Even those ditzy darlings who love them. This is being done to buy Chief Giannone some time to replace those fickle fleeing flatfeet. But if he can't get that done as quickly as the City Council hopes, that spend could go as high as $1.2 million. Just so you know. Not bad for a city whose leadership keeps telling the good people of Sierra Madre that yes, they have no bananas. Of course, the City Council could cut to the chase and hire the Los Angeles Sheriff's Department on a full-time basis, and right now. In the process saving the taxpayers of Sierra Madre as much as $2 million dollars. But it would make too much sense. And besides, the Mayor's dozen or so email pen pals would probably be very upset. Better to just raise taxes and spend like there is no tomorrow. Because with the likes of John "The Great Tax Fighter" Capoccia and his confidante City Manager Aguilar running the show, there probably isn't. 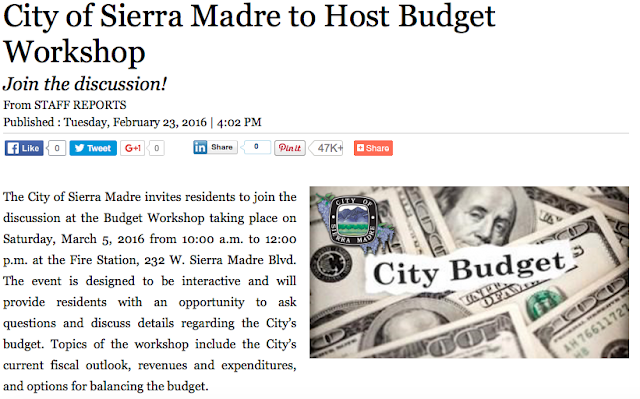 Is A 66% Utility Tax Increase Really Necessary To Protect Sierra Madre? It is an interesting if not exactly honest strategy. Support Measure UUT in order to help City Hall protect Sierra Madre. Never mind that the efforts to actually get that done in Sierra Madre, from the Canyon Zoning Committee to updating the General Plan to the organization Preserve Sierra Madre, were led by residents and not an at times actively hostile City Hall. Apparently we are now expected to believe that folks like City Manager Aguilar and Director Inman are the key players in protecting this town from such unhappy things as mansionization and a resulting property value decline. Not the likes of you. So who exactly was it that delayed the completion of the new General Plan for almost 5 years? Or helped enable the environmental catastrophe at One Carter? Apparently today loving Sierra Madre requires that you have an extremely feeble memory. Did I also use the phrase "not exactly honest?" 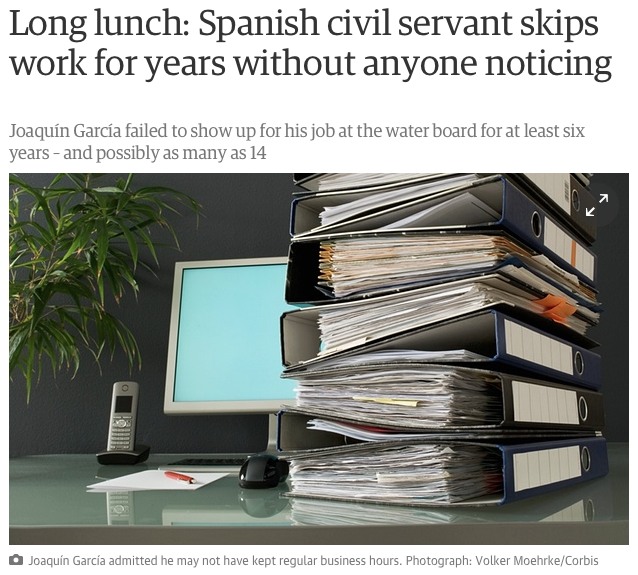 The word cynical would probably apply here as well. They have a website, of course. They always do. You can access it by clicking here. There isn't a whole lot to be found, however. How could there be? And most of the documents they do have are recycled materials first prepared months ago by City Hall. It is pretty much the same redacted nonsense found on the city's website. Yes, the problems have both already started and gotten worse. They were also well under way when the UUT was at 10%, and have been for years. And when the UUT was at 10% nothing was done to stop things such as the severe degradation of Sierra Madre's water infrastructure. Even though they had nearly a decade of double digit utility taxes and repeated water rate increases to do so. So how is restoring Sierra Madre's utility taxes to 10% going to solve problems that were not addressed when the UUT was at 10%, as it was for all those years? The answer is this twice voter rejected tax hike would have precious little to do with any of that. Measure UUT is a 66% tax increase designed to help deal with employee compensation issues such as this city's many millions of dollars in CalPERS debt exposure. Not fix the pipes. In other words, it is an effort to financially reward the very city employees that helped lead us to these unfortunate impasses in the first place. The same apparatus that worked to delay the completion of the General Plan for years, and enabled One Carter and the Downtown Specific Plan, is now apparently supposed to be considered essential to preserving this town. 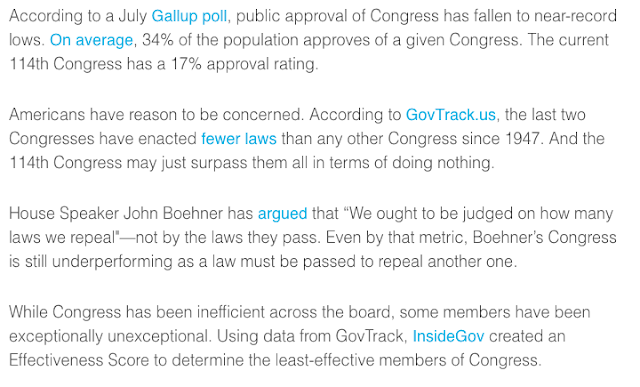 I was going to ask why Measure UUT proponents can't bring themselves to tell the truth. But then again, how can they? It is far too unpleasant, and nobody would ever vote for it. Mod: Fortunately nothing like that could ever happen here. This letter appeared in the latest content-free edition of the Mountain Views News. 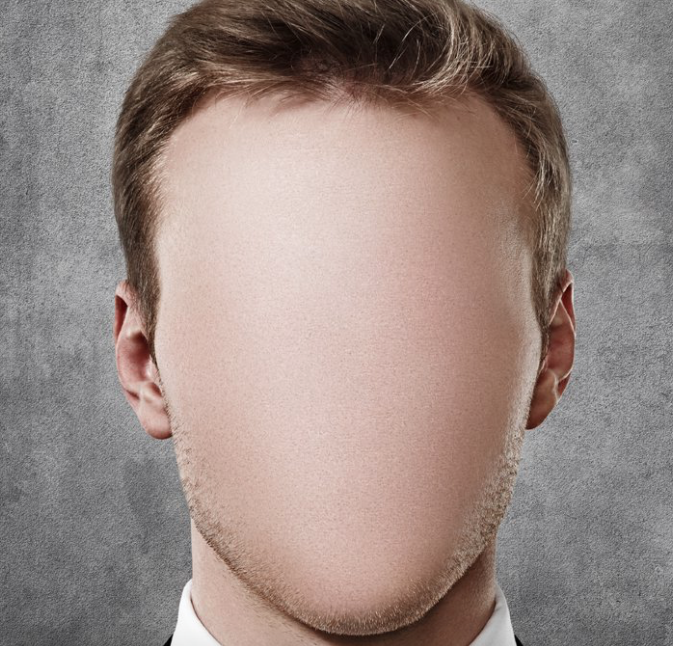 As much as I would like to reply to Mr. Holland's unfocused accusations, it is rather hard to do so since he has apparently decided to avoid any actual specifics in this ad hominem attack on long suffering moi. Shameful or not, here are a couple of questions that I would ask Mr. Holland should I ever have the privilege of speaking with him. 1) What article exactly is being referred to here? People might want to see it to better understand what Mr. Holland is griping about. 2) I can't recall ever having submitted anything to The Watchman. The last time I spoke to that guy he was screaming in an unhinged way at me on the phone and I had to hang up on him. I was afraid he would have a stroke were he to continue, leaving Mrs. Watchman with many sad years of living alone. 3) Would Mr. Holland care to point out anything from the City's budget in particular? I actually have read it, and discuss it here often. The complete lack of specificity in his complaints make me believe that perhaps he hasn't spent very much time there himself. 4) I don't think anyone would care to see Sierra Madre either dis-incorporated or unincorporated. Take your pick. However, the residents of Sierra Madre did vote down UUT increases in both 2012 and 2014 and somehow the city has remained intact. In a bizarrely governed and profligate sort of way. I would think the City's attempt to hire a second police force at the cost of an additional $1.2 million dollars would be a far larger threat to financially sustaining this city than anything I might or might not have said. Is Mr. Holland aware of the Mtn Views News publisher's shameful past? I am not certain Pat Holland knows about the sorts of unpleasant things contained in this following San Francisco Examiner newspaper account (link) describing the firing of H. Susan Henderson from a high executive position in the California Democratic Party a few years back. If he was aware I am certain Proper Pat would want to disassociate himself from such shameful goings-on. One thing here that has piqued my curiosity in the past is why exactly was Ms. Henderson shopping for lingerie at a Victoria's Secret in Washington DC? And specifically, for whom exactly was she planning to wear such things? Perhaps Pat Holland would like to ask H. (for Harriet) Susan Henderson about that. Or even write her a letter. Should Sierra Madre Pay As Much As $1.2 Million Additional Dollars To Keep The Sierra Madre Police Department? Should Sierra Madre pay as much as $1.2 million additional dollars to keep the currently employee retention challenged SMPD? It is a question that most likely won't be asked at Tuesday evening's City Council meeting, or at least in this way. That doesn't mean it won't be asked here. 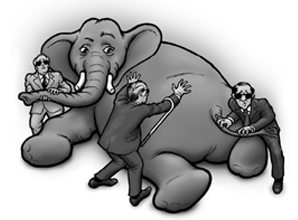 We really do like to bring the elephant out into the open at The Tattler. And this has always been a town with its fair share of elephants. But yes, at approximately $100,000 a month, and for perhaps as long as an entire year (depending on the as yet undetermined amount of time it will take the Sierra Madre Police Department to rebuild its depleted ranks up to a fighting trim), it could conceivably cost the City of Sierra Madre and its taxpayers that much money to temporarily hire the LA County Sheriff's Department to patrol the streets at night. Here is how that costly news is shared with we the people in the staff report prepared for this Tuesday evening's City Council meeting (link). Next is the part where City Hall tells us that the LASD may be required for an entire year to fill in for all of those departed Sierra Madre Police Department personnel. A moment of candor that may indicate just how difficult the city believes it is going to be to get new police officers to work here. Here is the elephant we promised to bring out into the open so that you may examine the big guy in his less than shining glory. As we saw above, the Staff Report shows a LASD contract cost of $98k a month through July, and $101k a month for the rest of the year. This is to be funded out of reserves for the first four months. After that nobody has determined how any of this is to be paid for, though I imagine they'll find a way. And this would be after the fate of Measure UUT has been determined. Another germane consideration I suspect has been factored into this equation downtown. 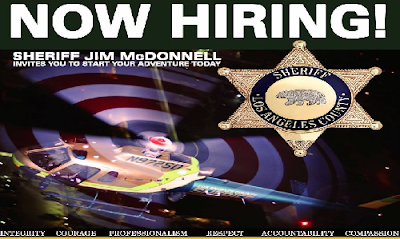 However, were the City of Sierra Madre to hire the Los Angeles Sheriff's Department full-time, the cost for one year would be $3,092,402, exclusive of liability insurance costs of $170k (page 55 of the Sheriff's proposal). That is with them taking over the operation entirely. That cost would be approximately $800,000 less than what we're now required to cough up to maintain the costly Sierra Madre Police Department. 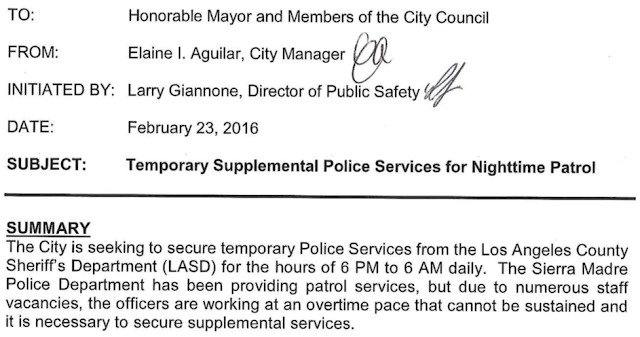 Of course, then we would obviously not have to pay that additional $1.2 million for LASD night patrols. I expected this staff report to reflect some savings due to the fact that we don't have those deserting Sierra Madre Police Officers to pay for anymore since they all quit. Sadly, it does not show any such savings, so perhaps they want to keep that extra cash for other things. While at the end of the day I expect the cost of this two police forces fiasco could be less than $1.2 million, as of now nobody seems to know. One problem is the City Council and staff are simply engaging in crisis management. The budget and police services are being handled on the fly. Just like they were when Mayor Capoccia went to Arcadia to ask them to help bail the city out. As it looks now, City Hall appears to be willing to spend as much as an additional $1.2 million dollars, money up and above the nearly $3.9 million already budgeted for the Sierra Madre PD, to buy Chief Giannone a year to hopefully rebuild his now half-staffed police department. That is both the cost and consequences you the taxpayer is being asked to foot for what is now becoming a financial disaster for this community. This would be done with no real guarantee that Chief Giannone will be able to pull it off, either. 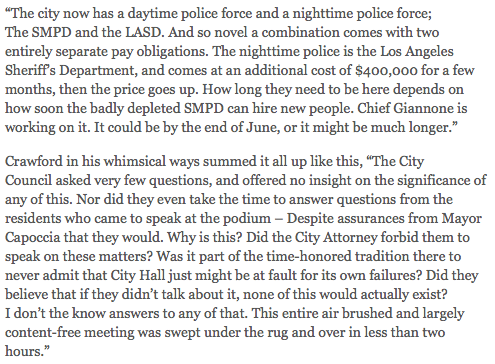 Even City Hall's staff report admits how difficult it is to get anyone to work for the SMPD. So ask yourself this. Is the SMPD worth that additional $1.2 million, just to buy the Chief a little time? Wouldn't it be wiser to hire the Sheriff's Department today and save all of that money? Something that would also save an additional $800,000 a year? Which, if you think about it, now puts the total potential cost relief at $2 million dollars. 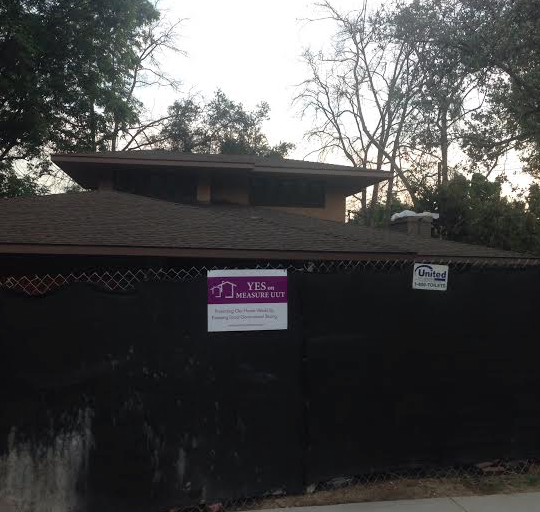 Is this really a good reason to drive the City of Sierra Madre $1.2 million dollars further towards insolvency? Just to appease some dotty sweethearts in town who cannot imagine having to live without blue uniformed public safety personnel? And would be quite upset at the sight of tan and green clad law enforcement employees? Just how badly do Mayor Capoccia and those other two dudes on the City Council want to keep the SMPD? Is $1.2 million dollars a price the taxpayers should have to pay to temporarily please what for them is a privileged political constituency? Say hello to the elephant.